Pair of Heavy Duty Car Coil Spring Compressor Clamp Set. Compresses the coil spring the replace the shock absorber unit or spring. Also allow for repairs on bent struts, strut tubes or damaged pieces. Forged construction,Acme threaded rod and built in detent pins to help lock the coil in place. Fast and easy set-upand extremely safe to use. 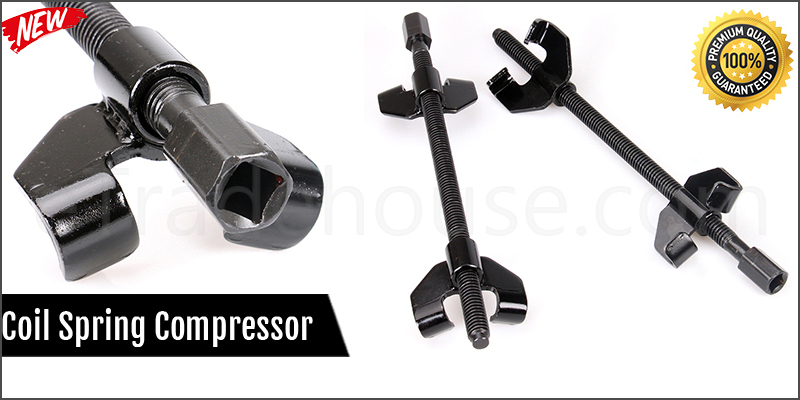 2x Car Coil Spring Compressor Clamp..